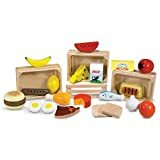 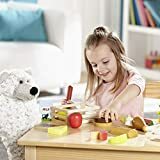 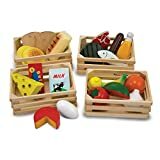 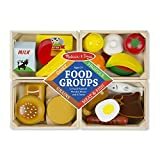 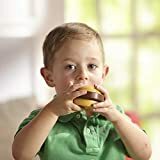 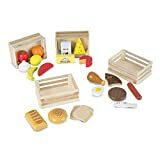 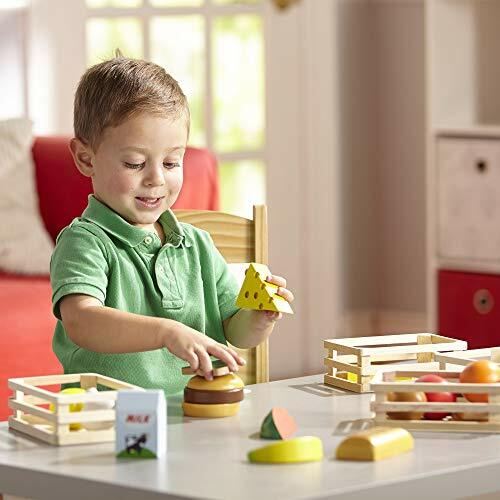 HEALTHY PRETEND PLAY: Melissa & Doug Food Groups Wooden Play Food is a sturdy wooden food set that features items from the five food groups for healthy pretend play. It includes watermelon, corn, milk, cheese, cereal, fish, eggs, and more. FUN AND EDUCATIONAL: This play food for kids set helps children plan a well-balanced meal. It helps introduce the basics of nutrition, and can be used to teach early number skills, colour recognition, sorting, and grouping. 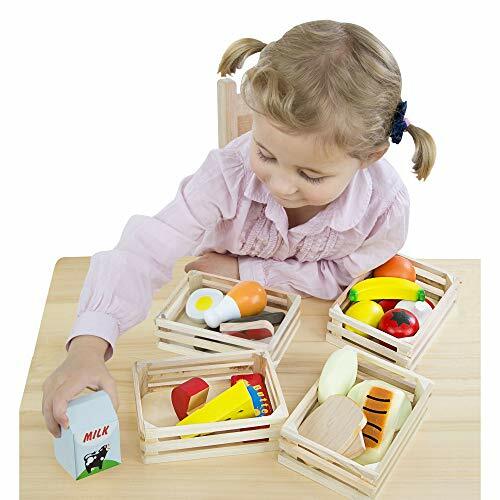 EASY TO STORE: Four wooden crates are included to sort the food into groups - dairy, produce (for fruits and vegetables), grains, and meat and fish. Kids can also sort by colour or use the crates to combine foods to serve up pretend-play meals. 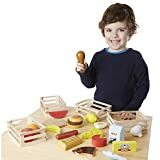 GREAT GIFT FOR AGES 3 AND UP: The Food Groups Wooden Play Food set makes a great gift for kids ages 3 to 6. 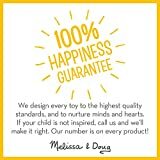 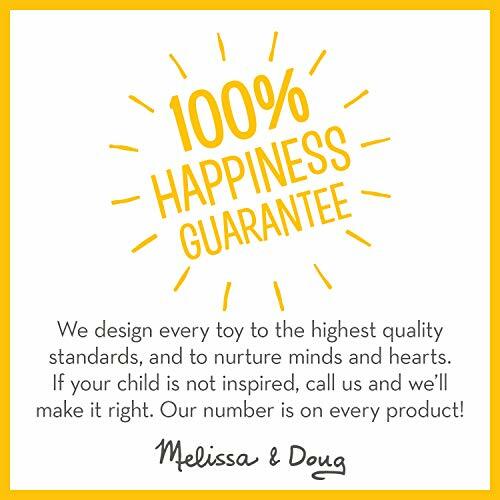 The Melissa & Doug Play-Time Produce and Vegetables Play Food set is a great accompaniment.